Need for speed? Liquor is quicker- Gift Wrap Now! 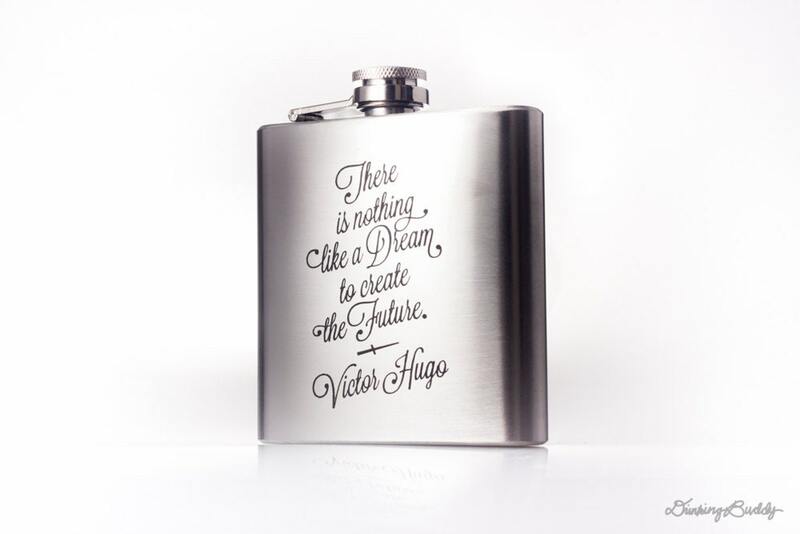 The Victor Hugo quoted flask inspires the future need to dream. Sales tax is applied to orders in NY. Orders within UK - European Union add an VAT on imported goods. Royal Mail may leave notices for recipients for pickup. If unavailable they will temporarily hold and sent back to shipper if not picked up within a week. It is recommended that buyers track orders shipped to UK to ensure its delivery. Please allow 1-3 business days to process orders before shipping. 1. Ensure your shipping address is correct. Buyer can pay for shipping for a return or exchange. There is a 2" x 3" of available space on the back of the flask (exception for leather) which allows an approximate of 14-18 characters and spaces per line (20 line max). To order, select 'YES' option to personalize. Leave your details with the listing or in the 'add note to shop' before you checkout. 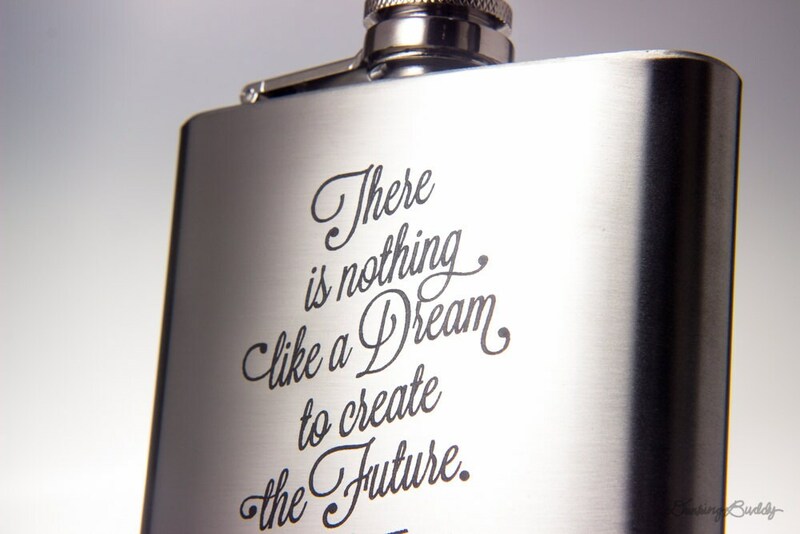 This is optional, you can write "n/a" it you do not want to personalize your flask. You may also convo if there is some necessary instructions, requests, and timeframe. We may contact you if we require your attention. Elegant and good quality, lightweight but doesn't feel cheap. The gift box and funnel were definitely worth the extra cost. Shipped faster than I expected! Very nice quality, looks like the picture. Excited to use it.